Regular use of this Incense Stick will open all the closed road that leads to good health, fame, and fortune. 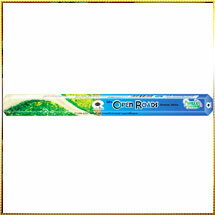 Thus, we have named this range of Incense Stick "Open Roads" as per its characteristics. Our Incense Sticks are made from premium herbs, wood, and other combustible materials that adds great value to it. We have prepared it by following traditional Indian customs keeping purity and heavenly values in mind. Its fascinating fragrance lures not only people from the earth but also the Gods from the heaven. A mere smell will leave you mesmerized. But also, you will be freshen up like the splash of early morning dew.